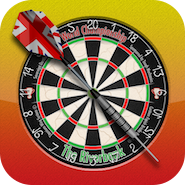 The sport of the people arrives on the iPhone in gorgeous 3D – Bulls i 3D Darts is a fun and authentic celebration of the game of ‘Arrows’! 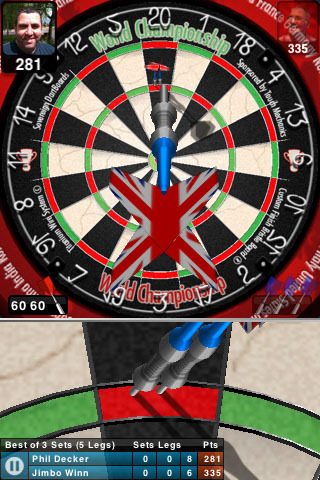 Designed to suit all players from 8 to 80, it features a fantastic control system that is easy to pick up but difficult to master – hitting the winning double has never felt more natural or satisfying! Intuitive control system designed for speed and accuracy so you can throw 3 darts as quickly as real life. 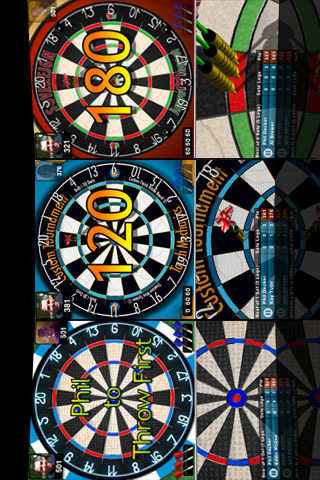 Gorgeous graphics with full 3d darts and dartboards, realtime reflections and shadows, now with full Retina support. 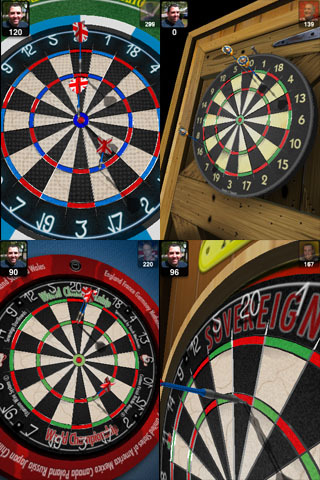 Full screen replays for great shots and a closeup camera to zoom in on the action for those vital finishes. 5 locations and 7 game modes including career and 2 player hotswap support. GameCenter support: so you can play against other people online at 501 or Cricket. 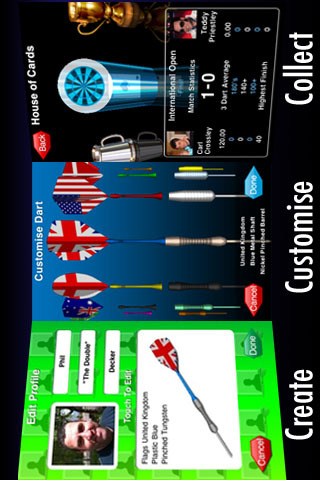 Full customisation of your character and darts. Trophy room filled with trophies and statistics, great for showing off to friends. Save Game: save your tournament progress anytime, play another game and then carry on later when you’re ready. 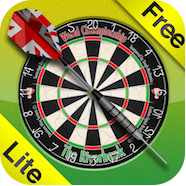 Auto Save & Resume so you never need to worry about a phone call interrupting your game; it will auto-save your progress and then resume on the last dart of the match when you relaunch the app. 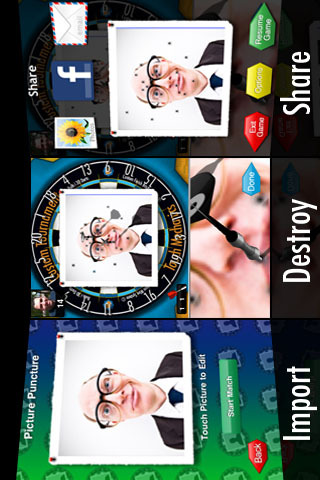 Facebook and Email integration for sharing achievements and Picture Puncture destruction. Built in News Feed to keep up to date with the world of Bulls i. Listen to your iPod music whilst playing the game.